Working at home sounds like an ideal situation. No commute. Greater flexibility. The list of work-at-home perks is long. However, working at home isn’t for everyone. Before you send your telecommuting application or start your home business, ask yourself the following questions to make sure you understand what’s involved and can make the commitment. 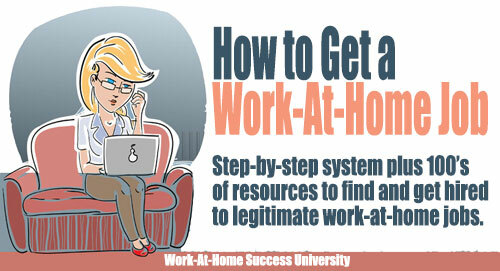 1) Why do you want to work from home? More than how, the why is crucial to your success. It is the fuel that keeps you going when you don’t hear back on your applications or don’t get any sales or clients in your home business. The truth is, working at home takes time and tons of effort, and it can take a lot longer than you’d like to see results. All these factors can lead some people to quit. Successful home-workers have a why that burns in their gut. It’s not a wish or something that would be nice. It’s burning desire that HAS to become a reality. 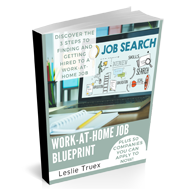 The biggest mistake work-at-home-wannabes make is in searching for work-at-home options without understanding what work-at-home is or how to avoid scams. 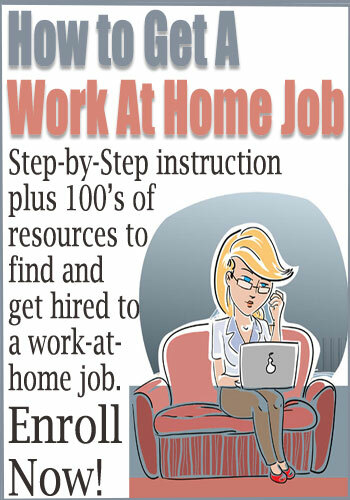 Doing a search of “work at home jobs” on Google can lead to scams and crazy schemes. Instead, spend some time learning about working at home. What types of jobs are common in working at home? 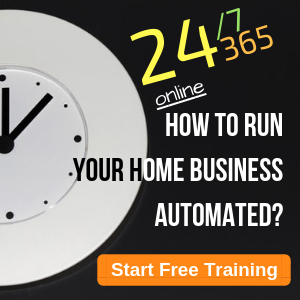 What’s involved in starting a home business? 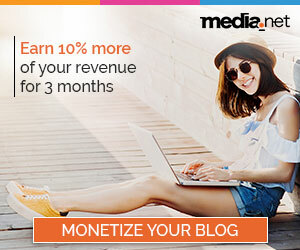 How is money made online? Learn how to ferret and weed out scams. 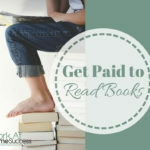 Knowledge is not only power, but also it will help you find the right work-at-home opportunity faster. 3) What do you have to offer an employer or customer/client? Getting hired in a job or building a successful home business depends on how well you can meet an employer or client/customers needs. No one cares how great you are. They only care how you can make their lives better. That starts by inventorying your skills, experiences, talents and passions and then finding or creating opportunities to use them to help others. The secret to success is finding a need and presenting yourself as the best person to fill the need. 4) What are your expectations for working at home? When I first wanted to work at home, I had a fantasy that my house would be spotless and I’d spend hours at the park with my kids. The reality is much different. 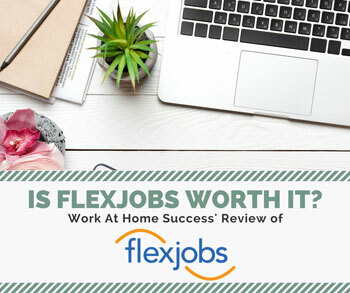 If you’re goal in working at home is to have flexibility to parent or attend to family members, you need a wake up call, especially if you need to earn a full-time income. You can’t expect to pay all your bills working a couple of hours a day (unless you’re able to hire virtual support to do the work for you). 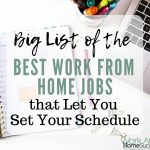 Depending on what you decide to do from home, you may have flexibility in terms of when you work and the ability to set your schedule, but you still need to put in the time. If your goal is to get a work-at-home job, you may not have much flexibility at all. You may be required to work 8 to 5 and have child care. 5) Are you self-motivated and able to finish what you start? Working at home means no boss standing over your shoulder to make sure you’re working. You need to develop a schedule and routine that allows you to meet your responsibilities. You can’t flake off due dates or sacrifice quality of work, at least not if you want to be successful. 6) Do you have support for working at home? While not a requirement, family support goes a long way. If you’re family isn’t supportive, it can make the process more difficult. 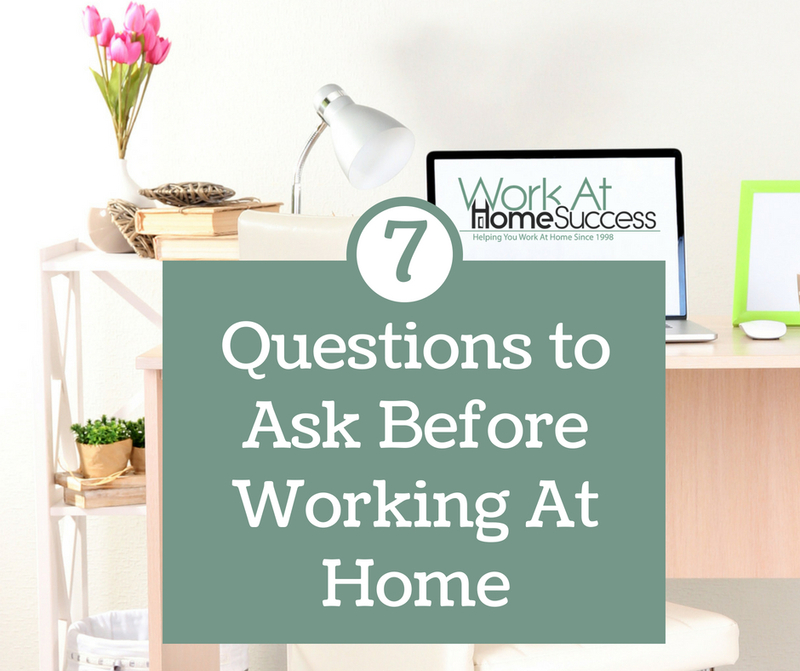 7) What are you willing to do to work-at-home? This is where the rubber meets the road. 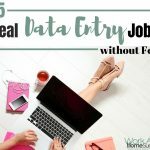 If you’re searching for something fast and easy that you can simply sign up to do, you’re probably going to have a tough time finding legitimate work-at-home opportunities. If you’re the type of person that gives up easily, you won’t succeed. Working at home requires stepping outside the comfort zone, learning to toot your horn in a way that attracts employers/customers/clients, dealing with and moving beyond set-backs and failures, and staying the course until you get what you want. 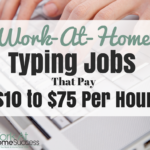 I worked at home for years as a medical transcriptionist. Some days I put in 15 hours to get the job done. I am willing to work long hours and know what it takes. I just need to find the right job and a company who is willing to hire me and partake of the knowledge I have acquired over the years. There are many places the take medical transcriptionist from home. Most require experience, which you’ve got. You should check over at MTDaily.com where she has information about MT jobs and more. Good luck! I`m leaving my 9-5 job next week and this was a great read! I think that I`m ready to do it by myself. I have also started my own blog some time ago which is bringing me some income allready. Hope to make many more income streams soon. Congrats! Good luck on your ventures in the future!